From the Institute of Legal Medicine, The Room of Bones accompanies several Salvadoran mothers in their search for the remains of their missing children because of the violence that exists in their country. This documntary is a glance at the remains: nameless bodies without identifiable relatives, bodies that became bones after killed in the war between youth gangs currently waged in El Salvador. Desde el Instituto de Medicina Legal, El cuarto de los huesos acompaña a varias madres salvadoreñas en su búsqueda por los restos de sus hijos desaparecidos a causa de la violencia que se vive en su país. Una mirada hacia los restos sin nombre, sin familiares identificables, de cuerpos que se volvieron cadáveres tras haber sido abatidos por la guerra entre pandillas juveniles que se libra actualmente en El Salvador. 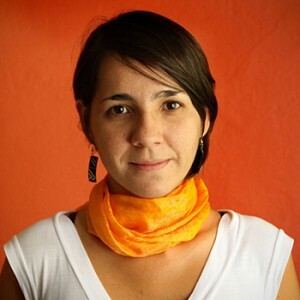 Marcela Zamora graduated as Documentary Filmmaker at the Film School of San Antonio de los Baños, Cuba. For more than 12 years, she has been making documentaries focused on gender and human rights, in total 4 feature films and 10 short documentary films seen throughout the Americas, Europe, Asia and Africa. She has worked in television for Al Jazeera and Tele Sur. She currently directs the documentary section of the Salvadorian digital newspaper El Faro.